Ask Brianna: How Do I Get My Student Loans Back on Course? “Ask Brianna” is a column from NerdWallet for 20-somethings or anyone else starting out. I’m here to help you manage your money, find a job and pay off student loans — all the real-world stuff no one taught us how to do in college. Send your questions about postgrad life to askbrianna@nerdwallet.com. I’ll be honest: Restoring your loans to good standing won’t be a gentle, painless process. But there are options to get your loans and credit score back on track, and there are people out there who will help, starting with me. For some borrowers, wanting to feel less stressed and anxious is the rationale for addressing their debt. For others, the catalyst is a big life change. Stanley Tate, a student loan attorney based in St. Louis, says his clients are often about to get married, buy a house, return to school or retire. Poor credit and unpaid loans are holding them back. Here’s how to use the motivation you feel to take action on your loans right now. Repayment options and strategies differ dramatically depending on the type of student loans you have. If you have federal loans, they’ll be listed in the government’s National Student Loan Data System. You’ll also see your servicer, the company that collects payments and helps you enroll in repayment programs. Private loans, originated by banks, credit unions or state loan programs, should be listed on your credit report. Access it for free from each of the three credit bureaus once a year at AnnualCreditReport.com. If you’ve missed one or two federal loan payments, your account is considered “delinquent.” You have 90 days to catch up before those missed payments are reported to the credit bureaus, which will negatively affect your credit. Most federal loans don’t go into “default” until you’ve missed payments for nine months. That’s when the scary stuff starts to happen: The government can collect unpaid loan debt by taking money directly from your paycheck, tax refund and Social Security check. Before you go into default, consider switching to an income-driven repayment plan. That will lower your bill to a more manageable amount. You can sign up for one of these plans for free on studentloans.gov or by working with your servicer. Private student loans can go into default as soon as you miss a payment; the loan may be “charged off” and sent to a collection agency 120 days later. Late payments followed by a “charge-off” can badly damage your credit — and the debt must still be repaid. Both private and federal loans in default can incur late and collection fees. 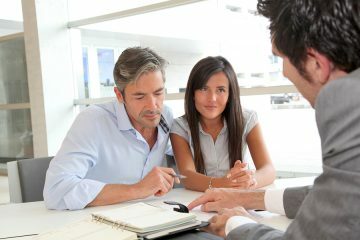 Call the lender right away to discuss your options. If the debt hasn’t been charged off yet, ask to reduce your payment temporarily in order to stay current. According to U.S. Department of Education data released last month, 11.5 percent of federal loan borrowers who entered repayment between Oct. 1, 2013 and Sept. 30, 2014 defaulted on those loans by September 30, 2016. If you’re one of those federal loan borrowers in default, you have two solid options for getting out of it: rehabilitation and consolidation. For help determining which is better for you, contact the Education Department’s Default Resolution Group at 1-800-621-3115. Rehabilitation requires you to make nine income-based payments on a defaulted loan within 10 months. Afterward, you’ll still see late payments on your credit report, but the record of default will be removed. That could increase your credit score by about 25 points, says Persis Yu, director of the Student Loan Borrower Assistance Project at the National Consumer Law Center. Consolidation can bring your loan out of default status within a few months, but the record of default will stay on your credit report. Private lenders generally don’t offer specialized programs for getting out of default. They may send you offers to settle the debt, and if you ignore them, they may sue you to collect it. If your private loan is in default, consider working with an attorney who understands student loan law. Search for a free or low-cost legal aid clinic on LawHelp.org. The National Association of Consumer Advocates lets you search for consumer attorneys near you, too. Brianna McGurran is a writer at NerdWallet. Email: bmcgurran@nerdwallet.com. Twitter: @briannamcscribe.